The Makito X Single channel H.264 encoder with 3G-SDI and Composite inputs. Supporting Multi Bit Rate (MBR) encoding. With 1 input and 4 encoding engines per blade, the Makito X single SDI carries forward the strong heritage of the Makito family with features designed to address the most rigorous video applications. 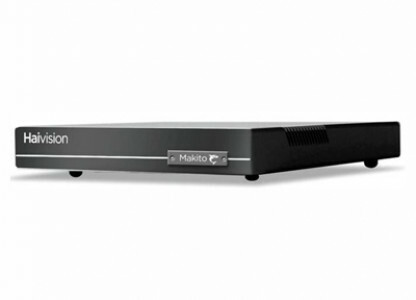 With 4 internal encoding engines, the Makito X can encode video at up to 4 different bitrates and profiles for multi-bitrate (MBR) streaming to optimize video distribution. Each engine can be directed to multiple network destinations concurrently - unicast, multicast, TS and RTMP - to serve desktops, mobile devices, set-top boxes, signage players, recorders and streaming servers.